Kiko Casilla has come clean on an interview with the Spanish media over why he decided to leave behind his comfort zone at Real Madrid to help Leeds United challenge for promotion. The one-time capped Spain goalkeeper was announced as the Championship leaders’ first signing of the January window on Thursday, penning a deal until 2023 after leaving European champions Real Madrid. Casilla was on the bench for Leeds during Saturday’s 2-1 defeat at Stoke, but in joining the Yorkshire side on a free transfer, the player has left behind the safety of the subs bench at the Bernabeu to join a promotion push. Asked by Marca why he opted to make the move, Casilla explained there were three significant factors that persuaded him to make the move. “I think that working with a coach like [Marcelo] Bielsa appeals to many players – the style and the mentality, he said. And finally, Casilla admitted he needed to challenge himself and, at the age of 32, start playing regular first-team football again. “I wanted to leave the comfort zone and risk a little, to feel the pressure of playing again, to see how football is lived here and to try this experience. I saw it with very good eyes,” he added. 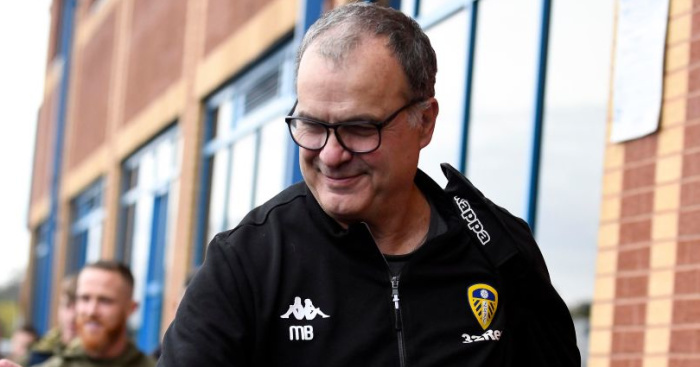 Bielsa’s appeal is obvious and his mark has clearly been left on Leeds already given he has the club currently top of the Championship and favourites for promotion. Asked in particular about the influence of the Argentine and Casilla continued: “In Spain he is already known. He works hard, he gets the most out of each player, he squeezes them. He works the training knowing what the opponent is going to do. Leeds, meanwhile, are set to make an exciting Polish midfield prospect their second capture of the January window. The post Casilla gives three reasons why he ditched Real Madrid to join Leeds appeared first on teamtalk.com.